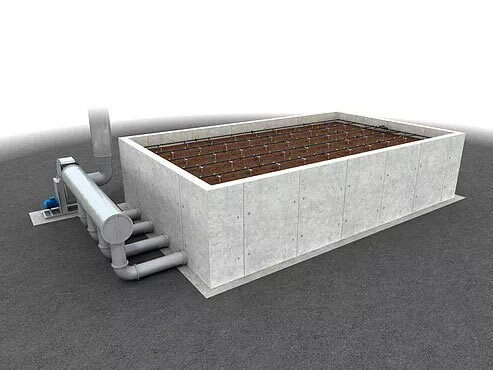 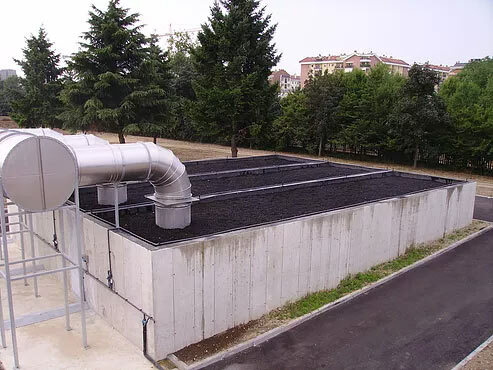 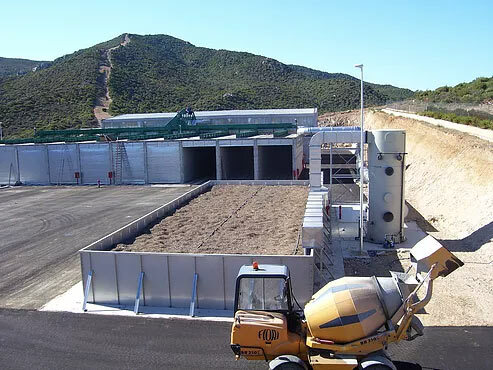 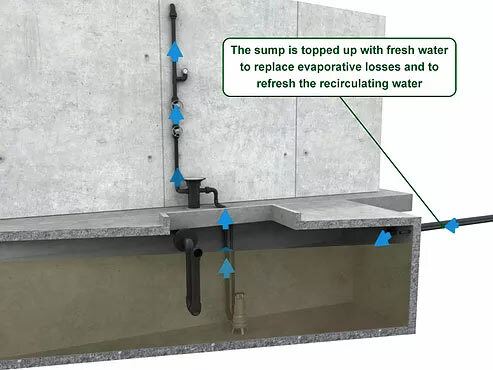 Mónafil - Anua Clean Air International Ltd.
Control of hydrogen sulfide and VOCs is a concern in many wastewater treatment, composting and industrial plants. 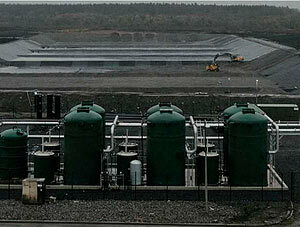 Hydrogen sulfide, and many VOC’s, create odours, are corrosive, cause air pollution and are detrimental to health. 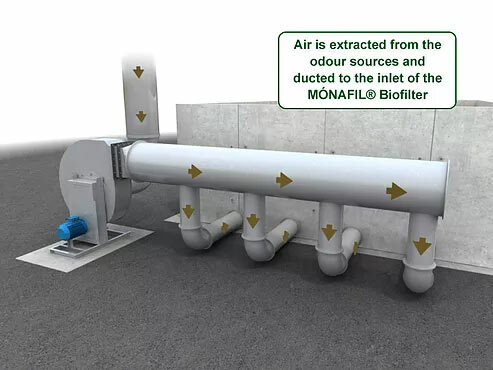 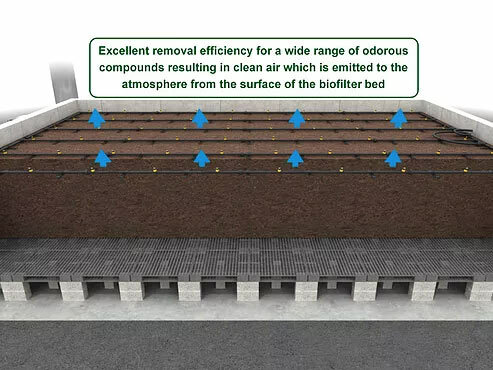 Mónafil is a patented biofiltration system that uses special media as a capture and support medium offering excellent removal efficiencies for odours, VOC’s, sulfur and nitrogen-based compounds. The properties of the manufactured granular high-density peat media have proven to be a key factor in achieving high performance removal and media life up to 10 years. 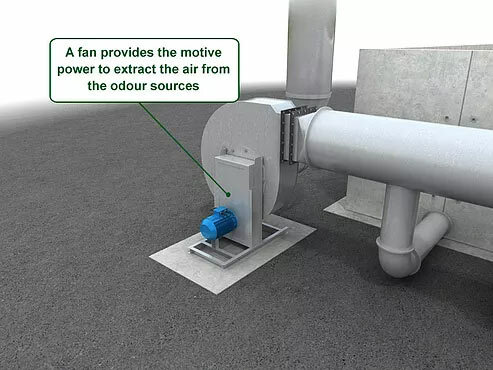 Mónafil has been successfully used in odor control applications for more than 20 years. 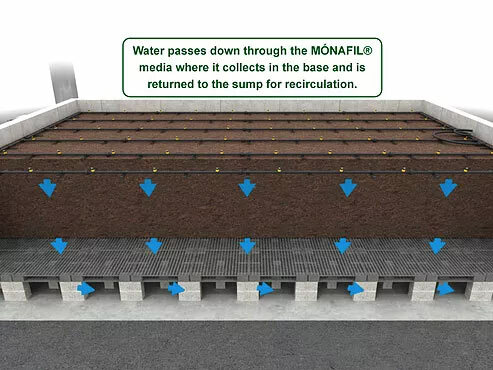 Mónafil systems have high performance and low running costs. The media is resistant to breakdown, which provides long medialife up to 10 years. 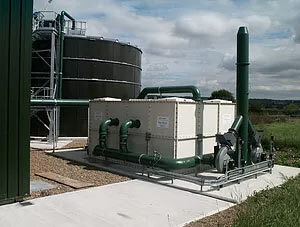 Proven high performance with systems in operation for more than 20 years. 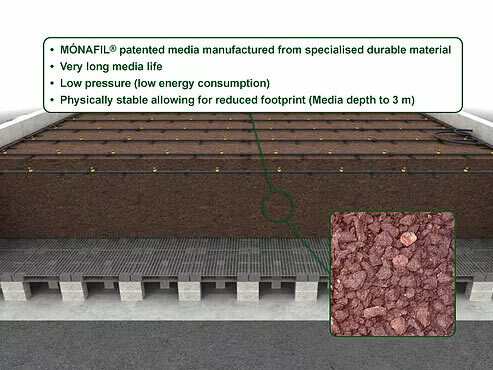 Mónafil is an excellent option toreplace other organic media which suffer from short media life. 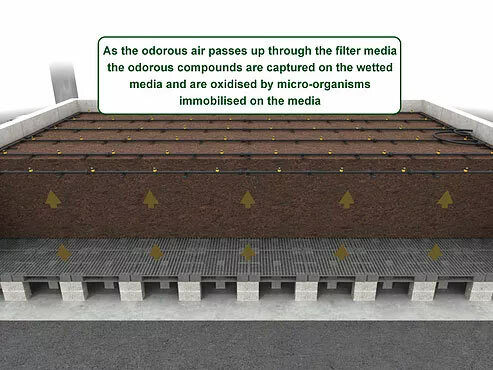 The media is regarded as the best available technology in Italy following a seven-year trial and was used to replace the organic media used in other trial units. 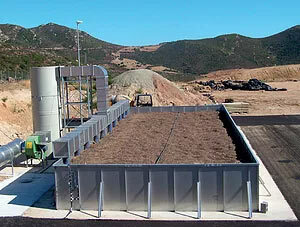 The media can be graded at the time of replacement and up to 50% recycled and reused.